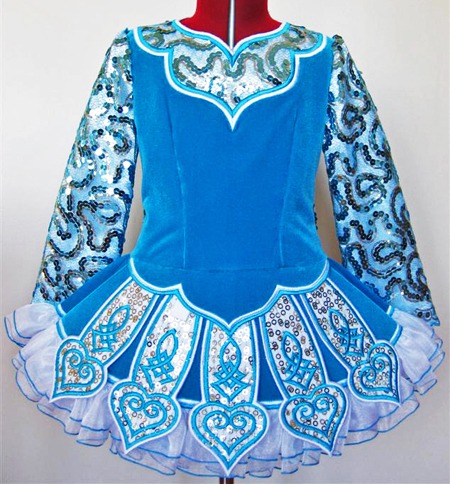 Centre front neck to dropped waist: 11¼"
Turquoise velvet bodice and return pleats. 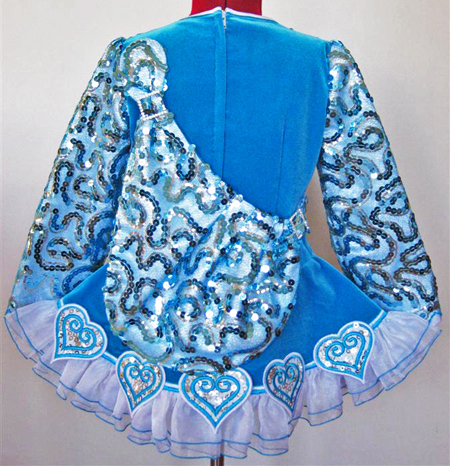 Turquoise and gold sequin sleeves, bodice yoke, and shawl. 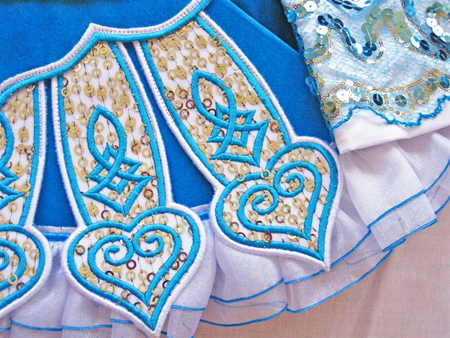 Turquoise embroidery on gold sequin panels.